Our best-selling feather bed mattress topper will win you over with its internal true baffle box design which keep the feathers in place while providing room for exceptional loft and comfort. Gently cushions your shoulders and hips giving you the sleep you deserve! 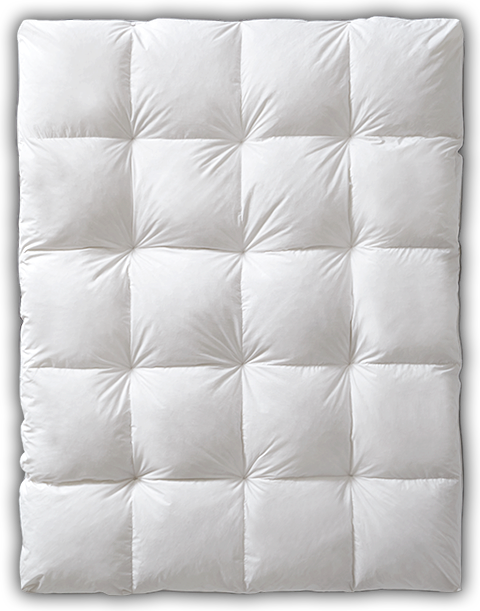 The Baffle Box Feather Bed has transformed our bed into a haven of comfort and peace. We call it "The Cloud" and each evening we climb in knowing that a good night's sleep is just a few moments away. We love it! We can’t wait until you sink your tired body into our most popular True Baffle Box Feather Bed where the Resilia® feather fill will gently cushion your pressure points for a deeply restful sleep. The secret to this best-selling design is the 3-D true baffle boxes on the inside that keep the feathers in place and create extra room for exceptional loft. Durable, 230 thread count, 100% cotton covers this cozy and supportive feather bed that is trimmed nicely with white cording. Prolong the life of your existing mattress while you treat yourself with an added layer of luxurious comfort.